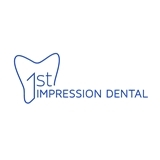 1st Impression Dental (Brooklyn) - Book Appointment Online! It was a very refreshing experience to visit a dentist office that actually takes the time for each of their patients. Dr. Adele is amazing! I look forward to taking my daughter back! I've been coming to Dr. Shahin for a while now. I would never go anywhere else. I refer all my friends and coworkers here.